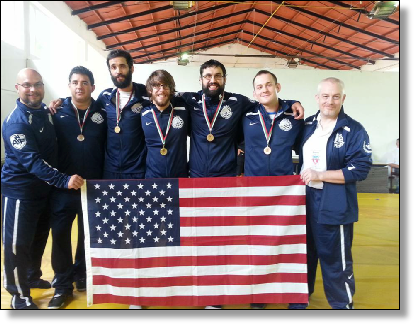 Then, on August 22nd, Team USA rocked the worlds in Varna, Bulgaria as the only team out of 13 countries in when every team member placed! Five athletes, five medals! We could not be more proud! 100kg Men. Kevin Sniff, World Bronze Medalist. Before moving to Arkansas for college, where Kevin began training under BJJ coach Roli Delgado, he wrestled through 4 years of high school in his native Guam; achieving team captain status in his senior year. In 2005 Kevin continued his training under Delgado and Matt Hamilton at Westside MMA. In 2006, Kevin moved to Las Vegas and trained under Marc Laimon before returning home to Westside a year later. In 2008 he also began training under Billy Robinson who began coaching Catch Wrestling at Westside. In 2009 Kevin moved to Ukraine with the Peace Corp and began to train at Chernihiv Club of Combat Sambo under Sergey Viktorovich Petrikey. After completing his duties with the Peace Corp, Kevin returned to Westside MMA in 2012, where he trains and teaches today. Since 2005 Kevin has won NAGA and Grappler’s Quest tournaments, amassed an 11-1 amateur MMA record and 2-1 professional MMA record. Morgan trains MMA and BJJ out of Criqui BJJ in Topeka. As a mixed martial artist Morgan has amassed a 7-3 professional and 8-3 amateur record. All 15 of his wins were finishes, the majority of which were submissions. He came to the U.S. Trials “hoping to win at least a match” and won the entire division with three straight submissions. By day Morgan is a Topeka police officer and supplements his BJJ with defensive tactics, Sambo and Judo training under Timothy Kuth. 74kg Men. Roli Delgado, World Silver Medalist. Roli is a 2nd degree BJJ Black Belt with GFTeam out of Westside MMA. He began cross training in other grappling arts just after receiving his Black Belt in BJJ. Roli is a level 5 in Gokor Chivichyan’s Hayastan System. Additionally, Roli had the pleasure of training with Billy Robinson for 5 years at Westside MMA. 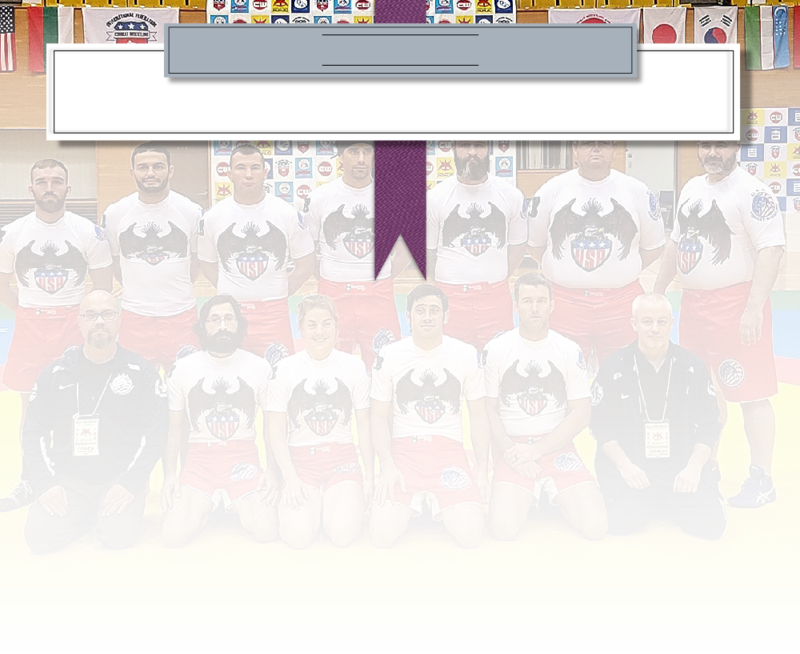 He is known as a specialist on applying Catch Wrestling and Sambo style finishing moves in BJJ; with instructional APPs for both Apple and Android products called Legal Leg Locks for Brazilian Jiujitsu. In MMA Roli has had some great opportunities such as being a contestant on Season 8 of The Ultimate Fighter, winning a fight in the UFC and Bellator. As an MMA fighter, Roli has amassed an 11-6-1 record. Since 2011 Roli has focused primarily on grappling competition; winning many smaller tournaments and medaling in 3 Black Belt IBJJF events. He has competed in and won a super fight in the Respect Professional Grappling show earlier this year. 2014 NAGA No-gi Expert 149lbs division (Birmingham, AL) and 2013 NAGA No-gi Expert 149lbs division (Atlanta). 90kg Men. Anthony Sansonetti, World Silver Medalist.